Bids are being solicited for a six-space parking lot for permanent and visiting judges of the circuit court, which will be funded through a $120,000 circuit court grant, according to a memorandum for the proposal. The lot would be surrounded by an 8 feet by 10 feet security fence. The funds have to be spent by April 2019. Companies can turn in sealed bids marked “Courthouse Parking Lot Improvement Project” in the lower left hand corner until 1 p.m. on Oct. 29 to the Office of the County Commissioners at the Worcester County Government Center on One West Market St., Room 1103, in Snow Hill, Maryland. Interested bidders should attend a pre-bid meeting to discuss the bids and answer questions at 10 a.m. on Oct. 9 in the administrative office of the Worcester County Department of Public Works on 6113 Timmons Road in Snow Hill, Maryland. County commissioners take a variety of factors into consideration when rejecting bids. Interested parties can also get more information on contract documents and plans, which cost $35, at the Office of Davis, Bowen & Friedel, Inc. on 601 E. Main St., Suite 100, in Salisbury, Maryland. Those interested or who have questions should contact Andrew E. Welch, P.E., project engineer, at 410-543-9091, by fax at 410-543-4172 or via email at aew@dbfinc.com. A hydraulic trailer with a gate costing $33,562 was approved for purchase through funds from the FY19 Operating budget. Interested parties can get more information on bids at the Office of the County Commissioners at the Worcester County Government Center on One West Market St., Room 1103, in Snow Hill, Maryland. 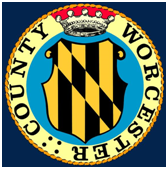 Bid information and requests from the Office of the County Commissioners are accessible by calling 410-632-1194, by visiting www.co.worcester.md.us. to receive a package by mail. Sealed bids will be accepted until 1 p.m. on Oct.9, and people can submit them –marked “Hydraulic Trailer Bid” in the lower left hand corner— to the Office of County Commissioners. Anyone with questions can call Frank Adkins, roads superintendent, from 6 a.m. to 4:30 p.m. Monday through Thursday at 410-632-2244. An auction selling extra vehicles, equipment and other items through GovDeals Financial Settlement Services totaled $94,732.22, according to a report on the sale. The Solid Waste Division received a $23,000 refund and the Water Wastewater Division received a $1,089 refund. Enterprise Fund Divisions will issue the refunds. The auction took place over several months, and items included filing cabinets, Apple cell phones, Samsung Galaxy cell phones, Ford F-150s, and Chevrolet Silverados.